In our website we collect information regarding people affected by Lgmd2E- Lgmd2D- Lgmd2C – Lgmd2F, in accordance with the Privacy Act. Our first aim is to elaborate statistical data and in second instance we would like to create a sarcoglycanopaties patients register. GFB counts now a total of 403 patients affected from Sarcoglycanopathy (LGMD2C -2D – 2E -2F). We invite persons that have additional information to share, to send us these information through info@beta-sarcoglicanopatie.it . Yes, we are a non-profit organization. 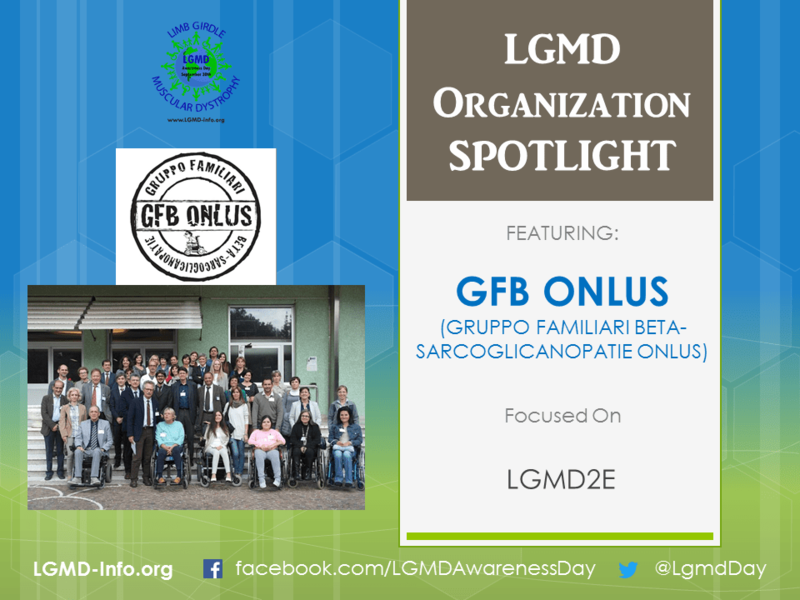 On February 27th, 2013 the GFB Onlus was officially created in Italy as a voluntary organization, registered to the provincial section of the regional register of voluntary organizations in Lombardy n. SO-81. In 2014 it was also included in the regional register of the Associations of Family Solidarity n. 947. In the years we have experienced the disease of our children, realizing there were no precise scientific studies and therapeutic approaches targeted for this disease (until 2012). We were completely left alone and besides, there were no associations for the Lgmd2E. The Gfb Onlus was created to finance research projects aimed at treating the disease. It wants also to be a way of keeping us/you better informed on info/news not easy to be found as well as the most updated specific research activities for this particular disease. 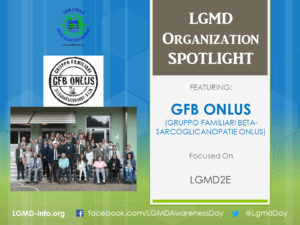 Our mission is to represent people with Lgmd2E, towards the institutions, research organizations, other associations, to patients. This role is kept only by us till now because no other groups exist with our same purpose – neither in Italy nor abroad. This website and its self-mutual-help group were created from the desire to get in touch with other families affected by this disease, so to share the various aspects of living every day with this disease, as well as clinical, legal, logistical, organizational aspects related to scientific research and the use of various aids. Our intention is to realize a first collection of data on these patients, in view of a future patient register and specific clinical trials. 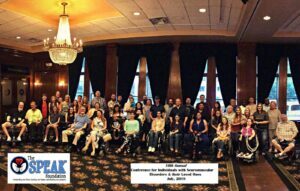 2012: Since the month of August 2012 the families of GFB have decided to start the first fundings to the LGMD2E gene therapy project in Columbus Ohio by prof. J. Mendell. Five payments for a total of $ 1,300,000 have been paid up today. 2017: The Myonexus Therapeutics Company was born and GFB ONLUS enter into the Company. 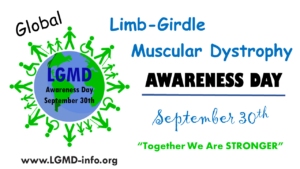 The aim of the Myonexus Therapeutics Company, is to develop the gene therapy for Limb-girdle muscular dystrophy (LGMD) types 2B, 2C, 2D, 2E and 2L. http://myonexustx.com/ 2018: GFB Onlus took part at the signing of the agreement between Sarepta and Myonexus, two biotechnology companies headquartered in the United States. Other our activities are the organization of trips to the mountains with trekking chairs and other sports (sky) and recreational activities for the disabled, organization of annual meetings of the families of GFB ONLUS, and transport services for disabled people, also through agreements with public bodies, organization of international scientific congress for LGMD2E and other sarcoglycanopathies and psychological support for people with disabilities. To have funding the pre-clinical phase of the Lgmd2e gene therapy project coordinated by Prof. J. Mendell in Columbus Ohio USA ($ 1,300,000), to have participating to Myonexus Therapeutics and agreement between Sarepta and Myonexus. 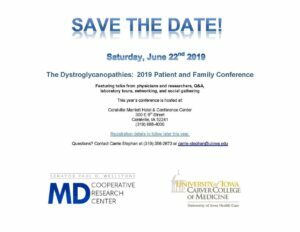 We are developing great connections in this area and we hope to build a registry that will help us when clinical trials are ready to go. Our website will have information to contact us and eventually to make tax-deductible donations. Please contact us by email to info@beta-sarcoglicanopatie.it . Please reach out anytime. You can also always send us a message via Facebook or Twitter. We are looking forward to success in achieving cures and treatments for LGMD2E and other lgmd sub-types.